Are you looking for a private place to have a party? How about having it at our place! 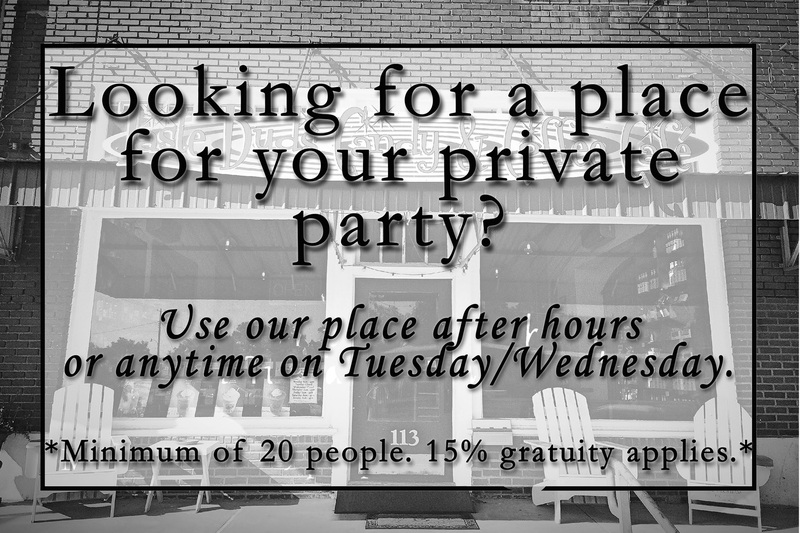 We can either provide you the space to host your party, or we can cater your private party. BREAKFAST, LUNCH, or DINNER! We can cater from our menu or we can work with you on a menu that is all your own. Please call (903) 569-2888 & ask for Darlena.